This week has been amazing. First, on Wednesday, we had Apple announce the iPhone 5. 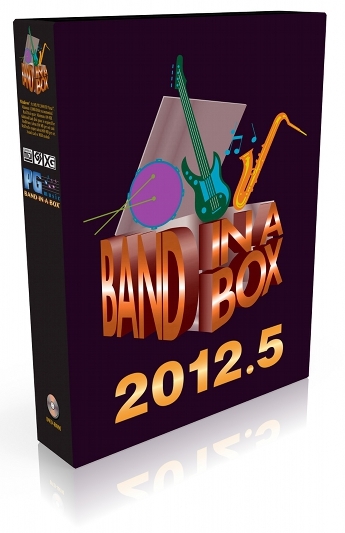 On Friday, PG Music unleashed Band in a Box 2012.5 for Mac. I shudder to think what next week will bring (other than actually receiving an iPhone 5 on Friday!). 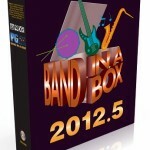 Like the iPhone 5, Band in a Box 2012.5 is more tweaking of an already great product. I still am surprised that more musicians do not know of this amazing piece of software. Or maybe still dismiss it as this midi tool (which it was back in the 90s) that uses Quicktime to generate cheesy backgrounds. It is not that. These people also probably still believe we didn’t go to the moon. Band in a Box, if you read this site, I always rave about. For anyone learning jazz, or just music in general, it is an invaluable tool. You simply type in a chord progression, tempo, key (if you want), and then pick a style. There are sooo many styles. There are quite a few midi only tracks that, depending on your setup, can sound very very good. But the program has really shines in it’s use of “RealTracks”. The software pretty much seemlessly takes real performances and will piece them into the song. So, if you wanted your masterpiece in the key of Db in the style of a Pop song with Electric keyboard, fretless bass, drums, and a Smooth sax soloing….it can do this. And it sounds damn good. Every version of the program, like every revision of the iPhone, tweaks and improves upon what they had before. There were some other tweaks to the program to. There is a simplified saving to M4A or AIFF from the File Menu (though I did want this to be a pop up dialog in the beta test so you could easily select say a DropBox folder to save them to rather than the program just dumping it into folder where the source file exists. Last beta still did it that way :-(). The program does load a little faster than the 2012 as well. There are still some annoyances. I swear every beta test I am involved with, I complain about the “Open Song By Title” thing, which will display the song title, file name, if it has a melody, and the style. Great tool. Except the Windows version will traverse folders in that folder (nested folders), and the Mac version just does the files in the folder. So the 10,000+ Band in a Box files I have would have to be all in ONE folder instead of sort of organized into subfolders. Another annoyance, or rather, something they need to bring to the fore in the program is the “Woodshed Tempo” thing. It is buried in Preferences 2 in the program. Basically, what it does is that every time you end a loop of a song, say you get done with the 5 choruses of Giant Steps at 160, it will bump up the next loop of the song by a certain number of beats per minute. So you can practice changes to a song, and start it at say 140, and have it bump up every loop by 10 clicks every time. Amazing for practicing. I keep lobbying for them to make a button for this, or at least make it so it’s not buried in the program. It’s a great tool to use…..and few seem to know it’s there. So, the verdict. Of course it is a BUY. If you are learning music, and specifically, Jazz (or soloing), you need this tool. And you need to splurge and get ALL the real tracks (or AT LEAST the styles you like). The BEST version to get is the Hard Drive version, which PG Music will send you a hard drive that has lots of extra space, and the program and all the styles and real tracks. And it’s portable, so you can take it between home and the studio, or use it on another computer. The program takes something like 65 gigs to install. Yes, it is expensive to get the whole thing. But like any good tool, it is an investment. And PG Music’s upgrades are very reasonable (usually the upgrades to all the new real tracks and stuff is $129). Get this program. Or put it on your Christmas list. The world of programs to slow down songs to figure them out has another member, Capo ($49). Right off the bat, this program has a great interface. Smooth, and Mac. It also has a great vocal remover. And you can export sections of the songs to a file, or if you removed the vocals, you can save it to a file. You can also add markers for sections of the song and stuff. Pretty cool. Yet…..for a $1 more, you can get Transcribe, which might not have the amazing Mac interface, but has way more functionality….like using the markers to divide up the beats between measure markers. Or the spectrum analysis (which is EXTREMELY helpful). So, while I like Capo’s feel, for the same price, you can get Transcribe….which is better. Maybe if they dropped the price to $25 or so, it might be worth having in the arsenal. But not for $49 when there is something way better for that price. Rock Band Dumbing Down Music? I would tend to agree, though the game and Guitar Hero have exposed people to some great, classic music that they would not have known otherwise. I’d rather have kids and people listen to some of the tunes on Guitar Hero/Rock Band than some of these “rap artists” and whatnot. Also, on a related note, anyone who has Rock Band and the drum set should check out this. You can use the Rock Band drum controller (the newer one that comes with World Tour) with this piece of software and actually play the instrument. Very cool. They also seem to have snagged some of Finale’s “features” like Sing in Music, Slurs, chords, putting dynamics in based on how hard you played. Go check it out.